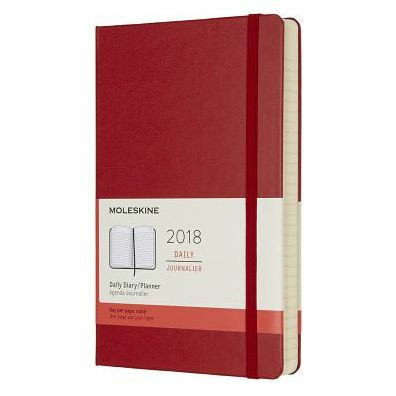 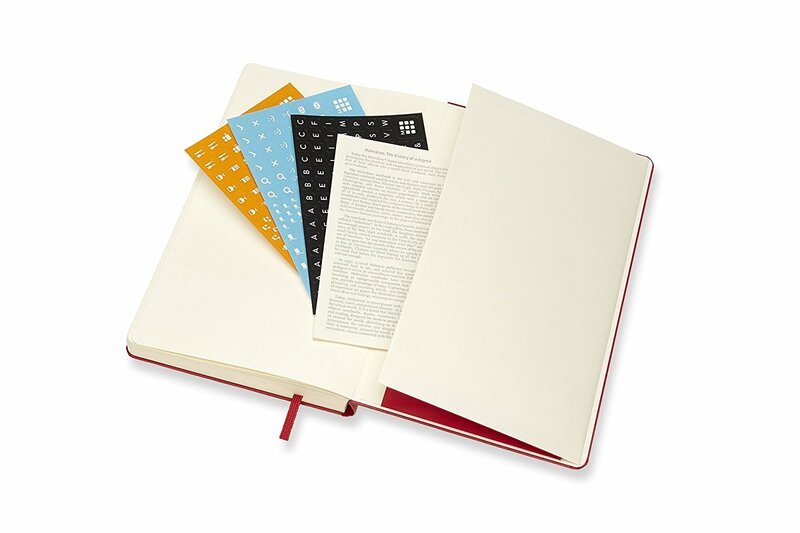 Moleskine's 2018 12-month diary covers the period from January 2018 through December 2018. 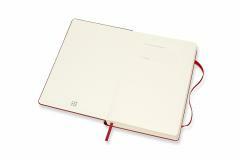 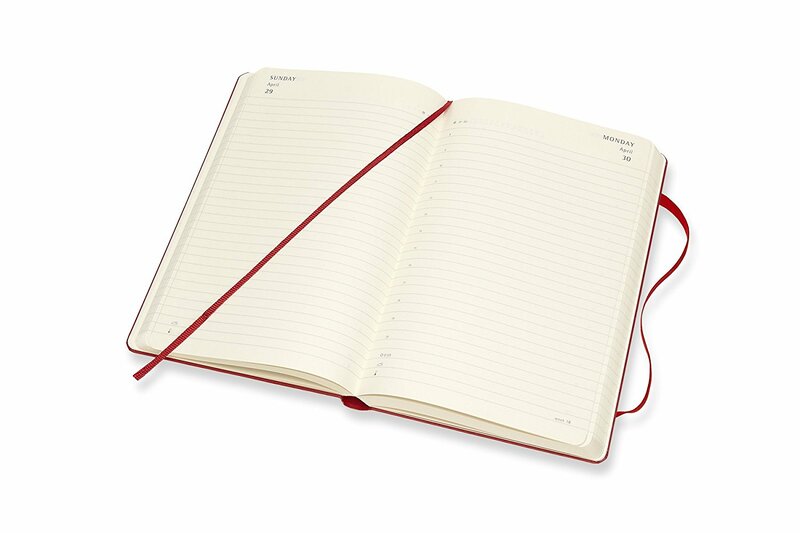 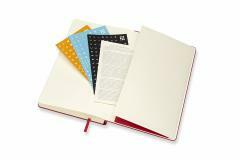 It features acid-free pages, a hard cover with rounded edges, elastic closure and ribbon bookmark, as well as an expandable inner pocket for loose notes. The daily diary has a single page for every day.